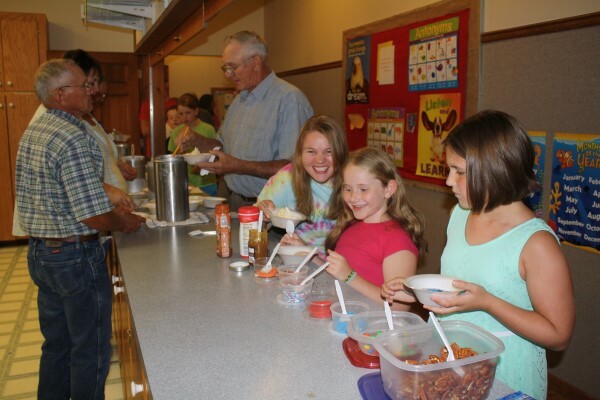 Our annual back-to-school ice cream social is this coming Sunday evening. We’ll start with a special service at 6:00, followed by ice cream and fellowship. If you are a teacher, coach, school staff member or student (at any age level), we would love the opportunity to recognize and pray for you at the end of the service, which will also include a special skit, music, a short message and a gift for students. Ice cream and toppings will be plentiful. Hope you can join us! Yum, Yum! Looking forward to being there! Last year we happened to be there for the back to school and I thought it was a really neat service! It would be great if you all could “happen” to be there this year. We would like to hear about your big family trip to Branson!